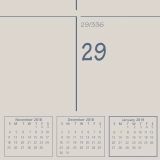 One month per page with unruled blocks and space for notes. 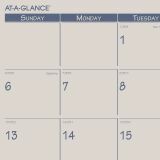 AT-A-GLANCE Fashion Color Desk Pad, 22 x 17, Blue - Monthly fashion desk pad displays each month from January to December on one page with space for notes and a full-year calendar reference. Colorful paper headband coordinates to printed ink on each page. 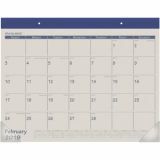 Desk pad features eyelets in the headband for hanging, two clear vinyl corners and unruled daily blocks (2-7/8" x 2-1/2"). Printed on quality recycled paper with 30 percent post-consumer material. Poly corners ensure pages stay flat. Perforated pages for clean removal. 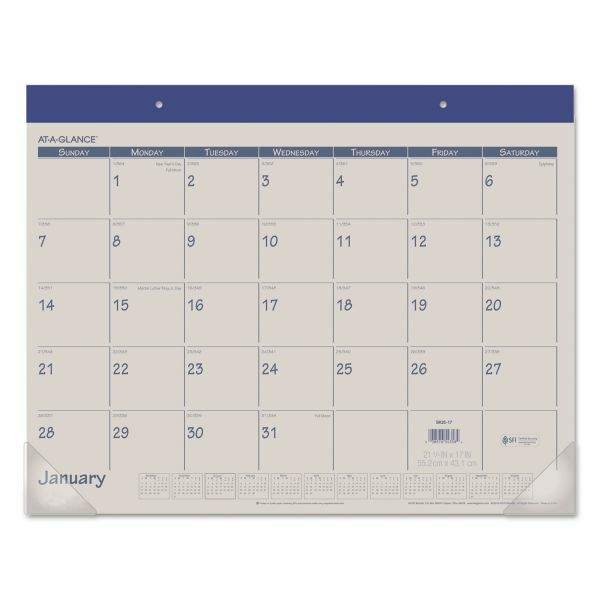 Transform the desk pad into a wall calendar; paper top binding with eyelets for hanging.